Move, Create and Collaborate, is an arts integrated creative dance residency for grades k-12, that engages students in an exploration of classroom curriculum through movement and dance-making. Directed by choreographer and dance educator, Sarah Council, students will have the opportunity to experience the joy of movement while participating in problem-solving, self expression and collaboration. Working collaboratively, students will create choreography that explores a curriculum area selected by classroom teachers such as science, math, language arts and social studies. SCDP creates a rich immersive arts experience for all participants and provides educators with accessible arts integration strategies that empower them to carry the work forward for years to come! Educators may select from the residency offerings listed below or chose to work with SCDP to create custom content for their classes. Dancing the Story, explores a work of children’s literature through movement and dance making. Dancing the Poem is a creative dance and poetry writing residency that will engage students in an exploration of the poetic form through movement. Dancing the Painting explores and responds to a work of visual art through dance making. Dancing Life-cycles is a STEM focused creative dance residency that explores the life-cycles of plant life, animal life or weather through movement and dance making. Dancing Histories is a creative dance residency that studies a historical event through movement and collaborative dance making. Dancing Engineers is a STEM focused creative dance residency that explores the 6 step engineering process through movement. Dancing outside of the box explores the practice of performing dances in unconventional spaces. Designed to Move is a residency for classroom teachers. 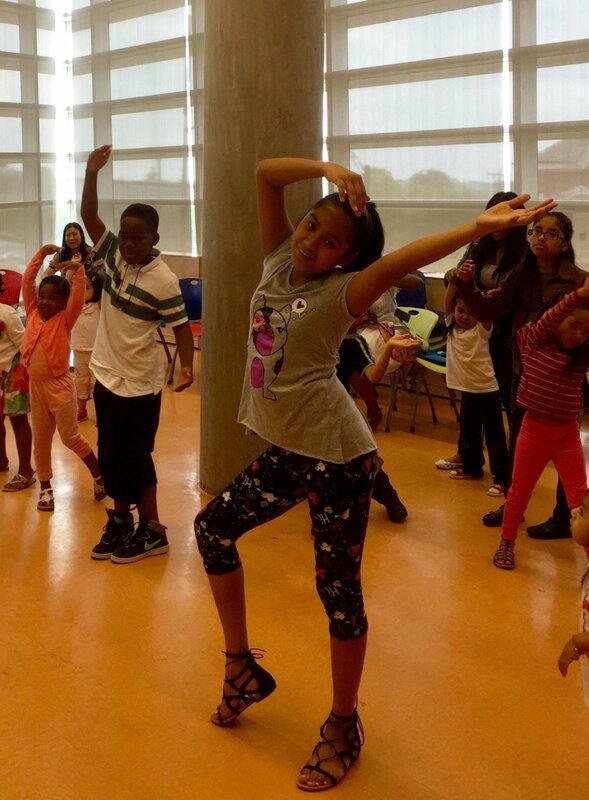 Program participants will acquire a variety of accessible arts integration strategies that offer easy ways to explore curriculum areas through dance and get their students moving! Teachers will work together to become comfortable using these strategies as they design and implement an arts-integrated lesson plan.